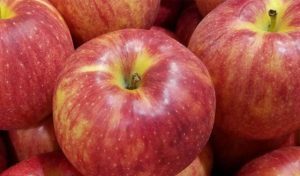 Please join us for Lay-led Shabbat Services this Friday and apple picking on Sunday! This week we celebrate the arrival of fall and our new(ish) school year by meeting at Drew Farm for apple picking and brown bag lunch (see details below, and in your weekly school Hadashot). All are invited — students, parents, siblings, friends! In the event of inclement weather, families will receive an email notification that regular classes will take place from 10-12 at the temple. All are welcome to join us at Drew Farm, 31 Tadmuck Rd, Westford. Please allow time to purchase a bag for your apples ($8/peck, ~5 lbs). You may either ride up the hill to the orchard in a tractor-pulled wagon or walk. Bring a picnic lunch to enjoy in the orchard. Thank you to the 20 volunteers from TEMV who donated time to help with our Moving Sale during a holiday weekend! The event came together quickly and was a great success–we couldn’t have done it without your help. There are still some items that could use a good home; see Phebe if interested. We contributed 416 pounds of food for housebound people and their pets during our high holiday food collection.